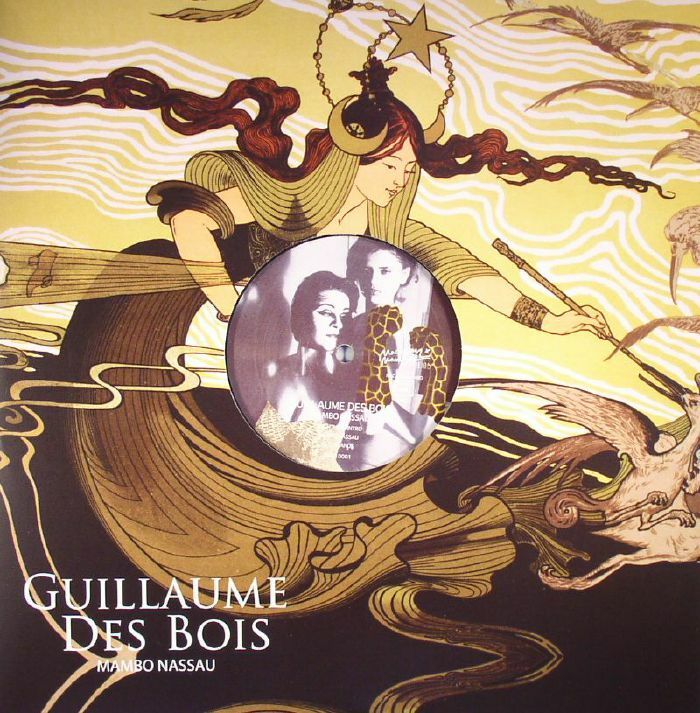 GUILLAUME DES BOIS Mambo Nassau vinyl at Juno Records. Few re-edit minded imprints do it quite like Macadam Mambo. The French label is renowned for eschewing the tried-and-tested, instead asking its' contributors to deliver rearrangements of obscure, left-of-centre gems. This latest 12", from label co-founder Guillaume Des Bois, is packed with such eccentric treats. After beginning with the tactile, easy listening flutter of "Brightness (Intro)", Des Bois turns his attention to the crunchy, guitar-laden AOR disco funk of "Mambo Nassau". 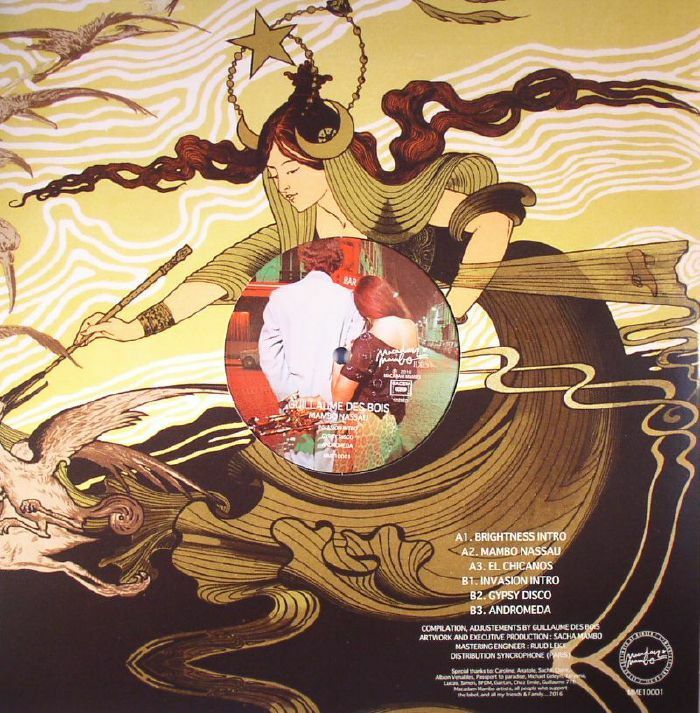 "El Chicanos" sees him tweak an organ solo-heavy chunk of acid-fried West Coast funk-rock, while the spiraling "Gypsy Disco" is a synthesizer-era, Balkan disco treat (and delightfully camp to boot). If that wasn't enough to set the pulse racing, he heads for outerspace with the intergalactic synths and undeniably cosmic grooves of "Andromeda".